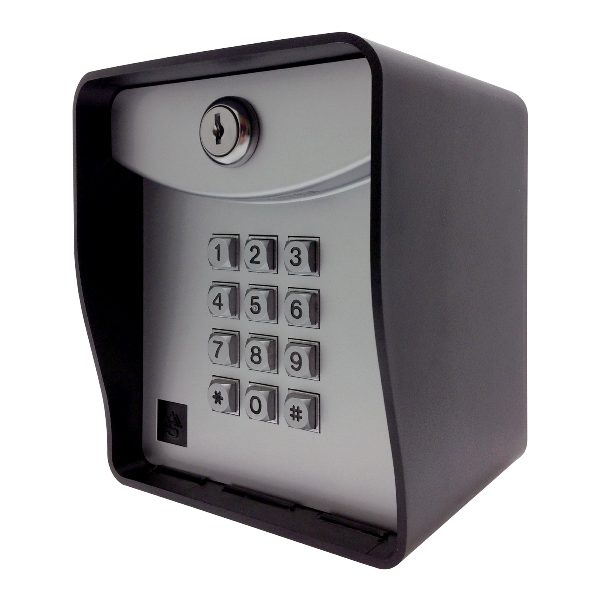 This is a SAC S-14-100 Ridge Battery-Powered Wireless Digital Keypad. No wires mean freedom—this device can be located and mounted anywhere you need it. From initial install to day-to-day operation, it’s all a breeze—no other access control device is as hassle-free and easy to use. Constructed from molded, UV-resistant polycarbonate, this keypad will last. SAC by Security Brands, Inc.